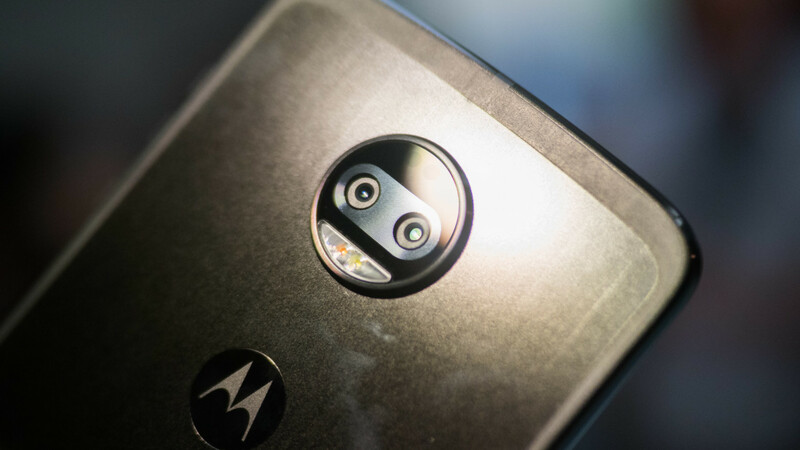 After months of rumors and speculation, Motorola announced the Z2 Force earlier today. I had the chance to play with it for a while, and, well, it’s pretty much what we expected. That’s both good and bad. If you want to read more about its specs and numbers check out our original post here; what follows are just my first impressions after actually using the device. 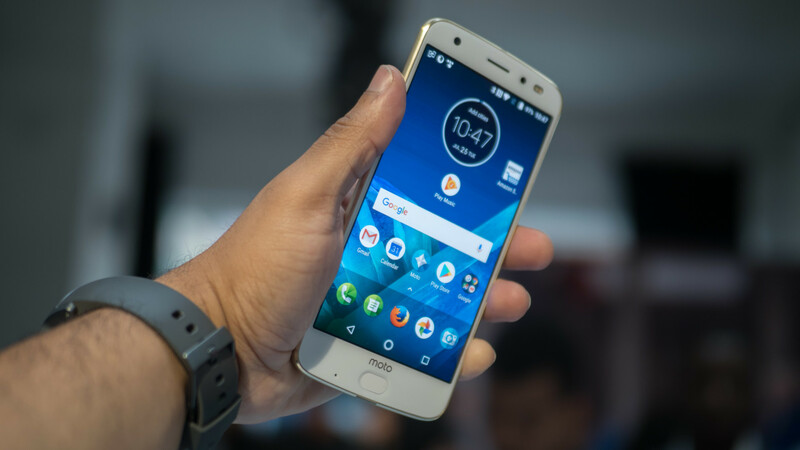 The Z2 Force looks a lot like the original Moto Z. That’s no surprisee, as Motorola needs to maintain the same overall shape to maintain compatibility with Mods. That said, there are some notable differences – some for better, and some for worse. Instead of the original model’s subtle stripes, the Z2 Force uses a brushed metal pattern that both looks and feels premium. I think the clean finish on the Z2 Play is nicer, but your mileage may vary. 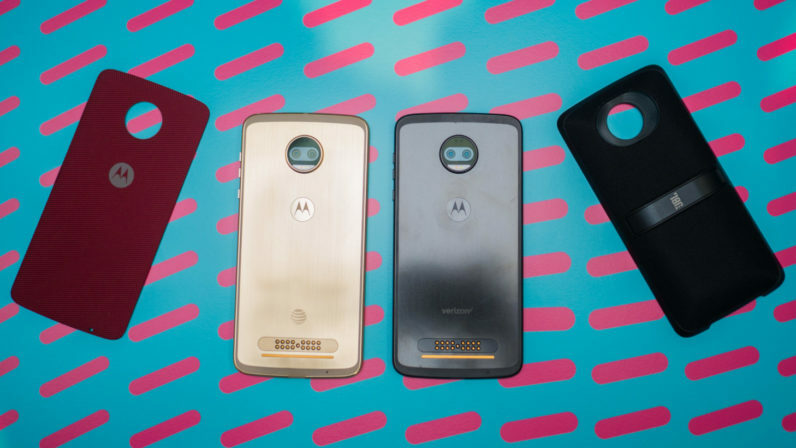 It comes in three colors – black, gold, and grey (T-Mobile exclusive) – though of course you can customize them using one of the many available Style shells. The device feels remarkably solid for something so thin, and I’m glad Motorola kept the ShatterShield screen. That’s the most important part of this phone’s durability. I smashed a previous ShatterShield phone with a baseball bat – twice – and the screen survived. It scratches more easily than glass because it’s basically glorified plastic, but the top layer can be replaced; I’d take an unbreakable, replaceable screen over it’s-going-to-scratch-anyway glass anyday. Still, after using phones like the LG G6 and Samsung S8, it’s hard to look at the Z2 Force without wishing you could magically expand the screen to fill in that empty space. I get it on the cheaper Z2 Play, but was hoping for more on the flagship model. I’d take an extra millimeter for a bigger battery and/or a headphone jack. 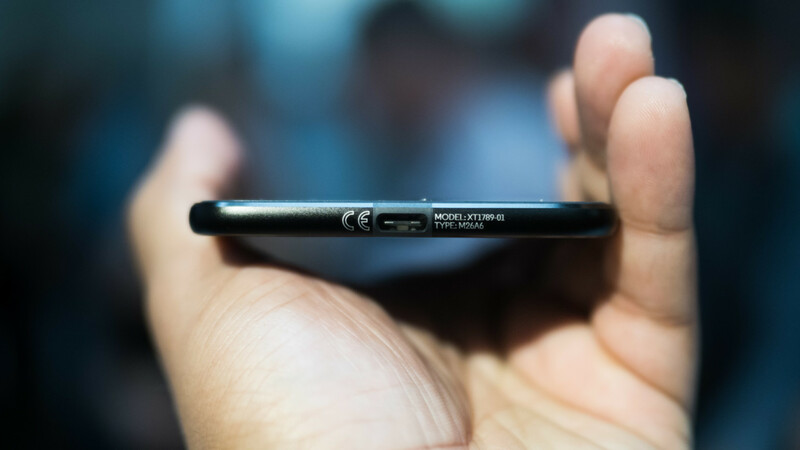 The device is a even thinner than last years Z Force, at just 6 millimeters. Unfortunately, that comes at the expense of battery. 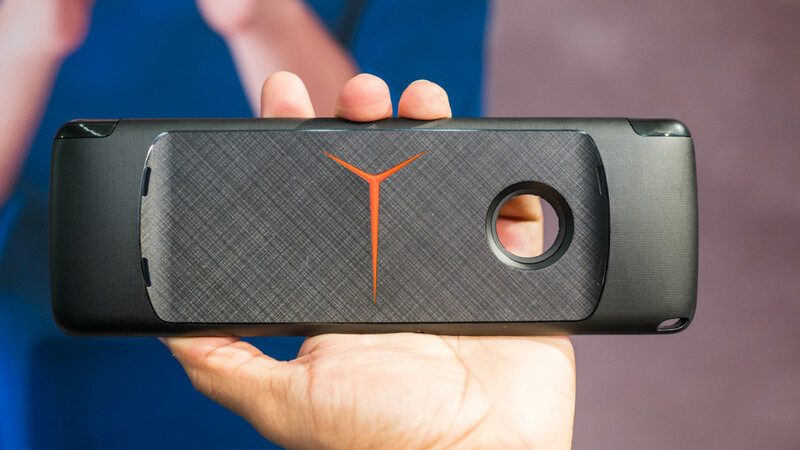 The Z2 Force only has a 2730 mAh battery, 22 percent smaller than last year’s 3,500 mAh. It’s a baffling decision. The Z Force was only 7 mm thick – it didn’t need to be made any smaller. I get that the Snapdragon 835 in the new device is more efficient and that you can always add a Moto Mod, but I can’t imagine many people would choose a marginally thinner device over a substantially bigger battery. Oh, and it still doesn’t have a headphone jack. Sighs. For all my nitpicking, there’s a lot to like. From my brief hands-on, I was impressed at how well the camera handled artificial depth effects in the crowded event space, though I didn’t get to try the new selective black and white mode, and I would’ve preferred a wide-angle or telephoto lens. Performance with the Snapdragon 835 and near-stock Android was as smooth as you’d imagine, and the screen was bright and vibrant. There are two neat new mods as well. 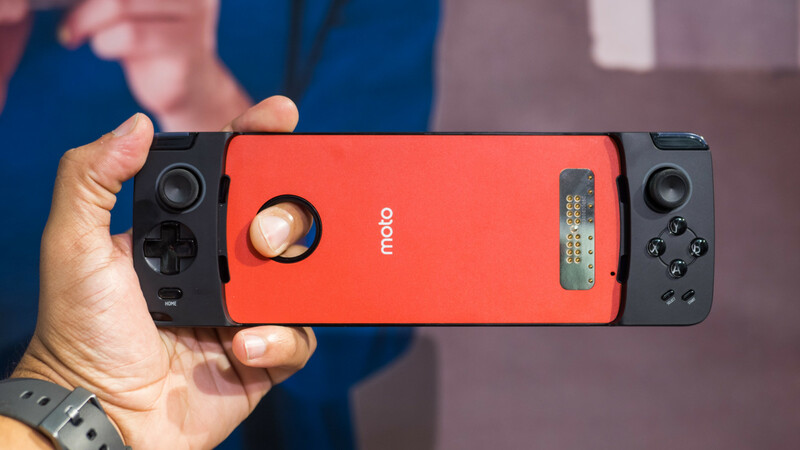 One is 360 camera that’s super compact compared to most of the current offerings, the other is a gamepad that fits seamlessly onto the phone. The buttons felt nice and clicky, and I can see it being a popular mod for people who like to play game on the go. The Z Force was one of my very favorite devices last year, to the point that it was my main recommendation for people on Verizon. 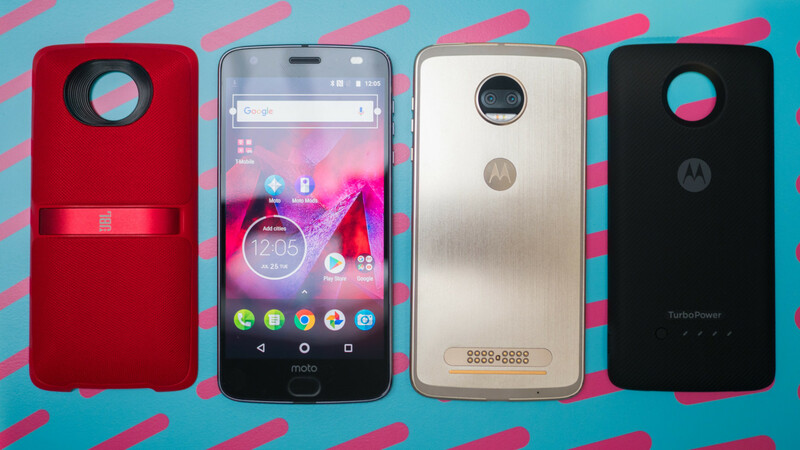 Part of me is compelled to see the series succeed simply because its one of the few glimmers of hope left for modular devices, and I appreciate a phone that still manages to stand out in the crowded homogeneity of the smartphone market. But I left my hands-on with mixed feelings. On one hand, I wish Motorola had done more with this upgrade; the screen size feels dated and the battery too small. 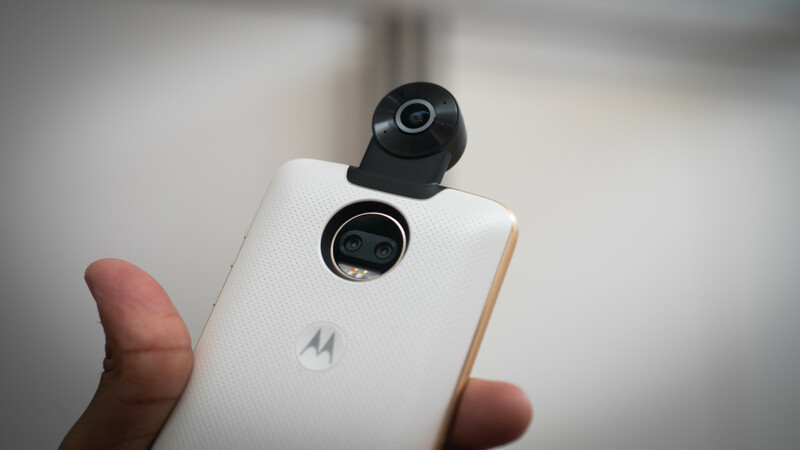 On the other, I still appreciate that features like the shatterproof screen and Moto Mods are unmatched in the industry. We’ll see which way I’m leaning when I’m done with my full review soon.